Our privately owned Fifth Floor condominium has an ocean view. It is reasonably priced, elegantly furnished and truly a 'Home Away From Home' making it a great Maui Vacation Rental. 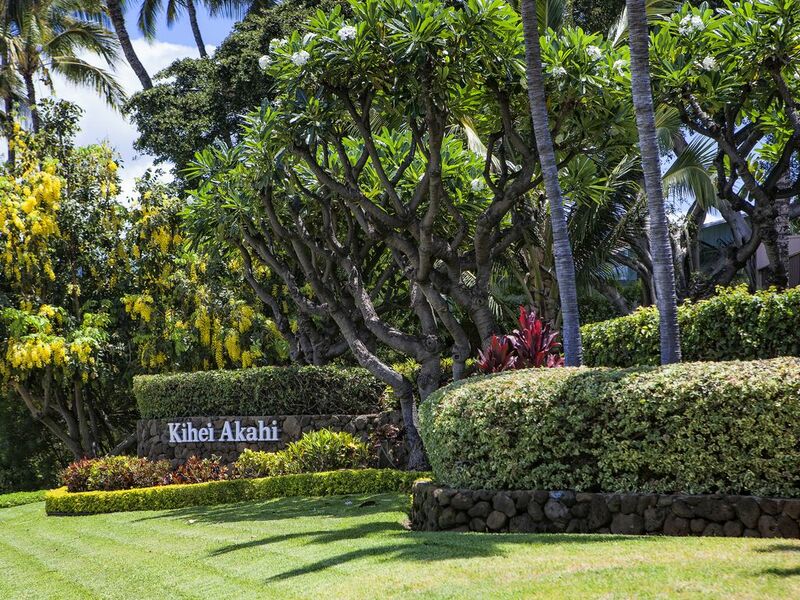 Kihei Akahi Resort Condominium is located in the southern part of Kihei, just off the edge of Wailea Resort Area. The grounds are meticulously maintained with blooming flowers everywhere and the private lanai is perfect for dining or watching the sunsets. Some of Maui's finest swimming beaches are in this area. It is a soft sand beach, that gradually slopes out and is great for both swimming and snorkeling. The resort also features two pools and a free tennis court on the premises. Around the pools are barbecues and refrigerator for a convenient snack or drink while sunning. Golf is nearby, and many shops and restaurants are within walking distance. South Maui is a quiet and peaceful area, yet the 5 star hotels of Wailea are just minutes away. WE PRIVATELY OWN: C-518 (VRBO 2901) and D-504 (VRBO 1111488) and C-604 (VRBO 21787)..
All of our units have been redone. They all have new kitchens, new baths with walk-in showers. new king size beds, air conditioning and free wireless internet. They all are elegantly furnished and well coordinated. Everything you need will be there, including beach towels and beach chairs. Most important - they are maintained with a very high level of CLEANLINESS. Check out our video tour video tour of each unit on their VRBO listing. On our first visit to Maui, more than 30 years ago, we knew what everyone now knows: 'Maui No Ka Oi' 'Maui Is The Best' Within months of our Maui visit, we purchased a 'Piece Of Paradise', and have been returning several times a year ever since. We have a love of the islands and are 'True Hawaiians At Heart'. Directly Across From Kamaole Beach Park 2. Just 200 feet from the front of the C Building with a crosswalk taking you to one of the finest swimming beaches on Maui. Living room has pull out sofa and chair for watching TV. Fully equipped kitchen with refrigerator D/W, range, microwave and blender.